John Bead - We Can't Thank You Enough For Supporting our Transition To Our New Site! Home / News / We Can't Thank You Enough For Supporting our Transition To Our New Site! We Can't Thank You Enough For Supporting our Transition To Our New Site! How Do You Sign On To The New Site? 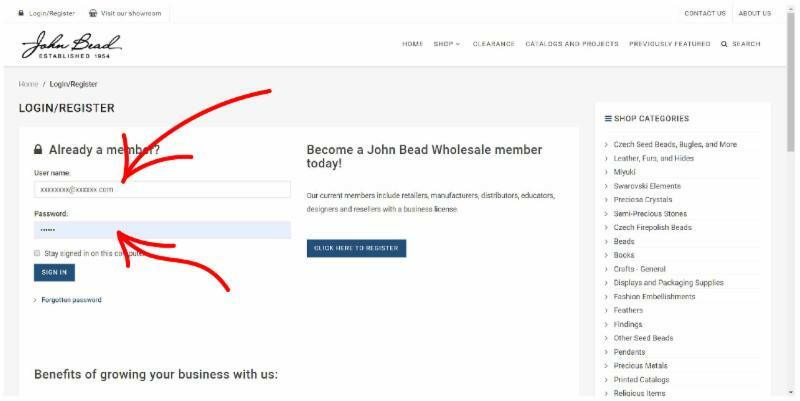 You will have received an email from John Bead explaining how to sign on to the new site with a temporary password. We urge you to make your own new password as soon as you do. We have heard from a few customers that their temporary passwords are not working. Do not copy and paste the password as it is case sensitive. It would be best to write it down and enter it again with your keyboard. If you have any issues ordering or if we need to close the site for an hour or two please contact your salesperson so we can get an order out to you in the mean time.